Yu-Gi-Oh! 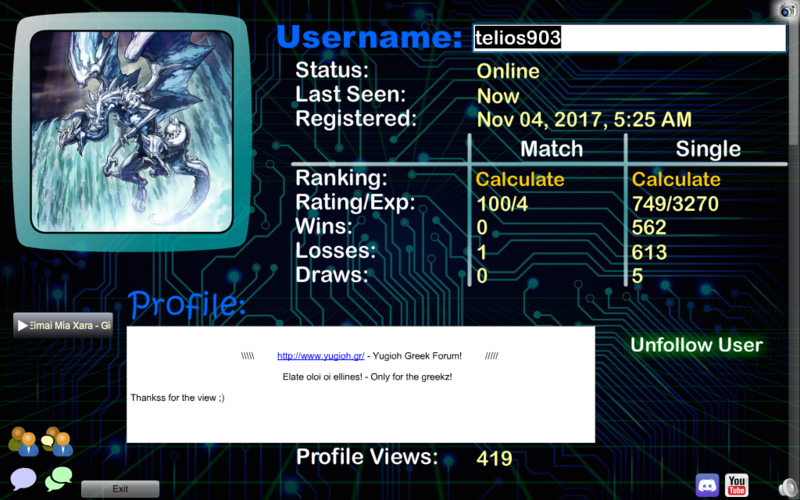 Greek Forum » OFF-TOPIC » Άλλα παιχνίδια με κάρτες » Pokemon » τεστ-τι τυπου εκπαιδευτης pokemon ειστε ? You are...Strong. You like to be the best and not in a friendly kind of way. You are competitive and you like powerful, high leveled Pokemon. This trait can go either way, you being one of the best trainers in the world or one of the most hated. The amount of kindness you treat you Pokemon will determine this. This Group Includes: Gym Leaders/Elite Four (or Five) (Both GB and TV) Cool Trainers (GB) Rival (GB).